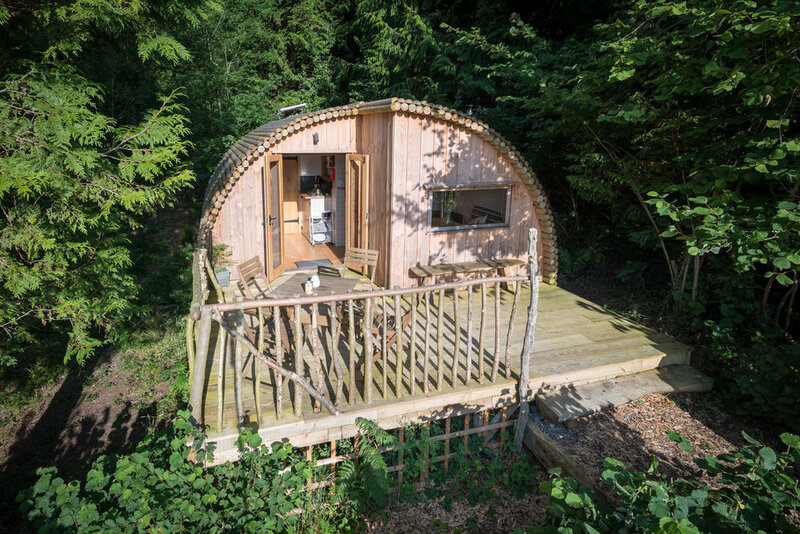 Glamping pods without shower rooms. 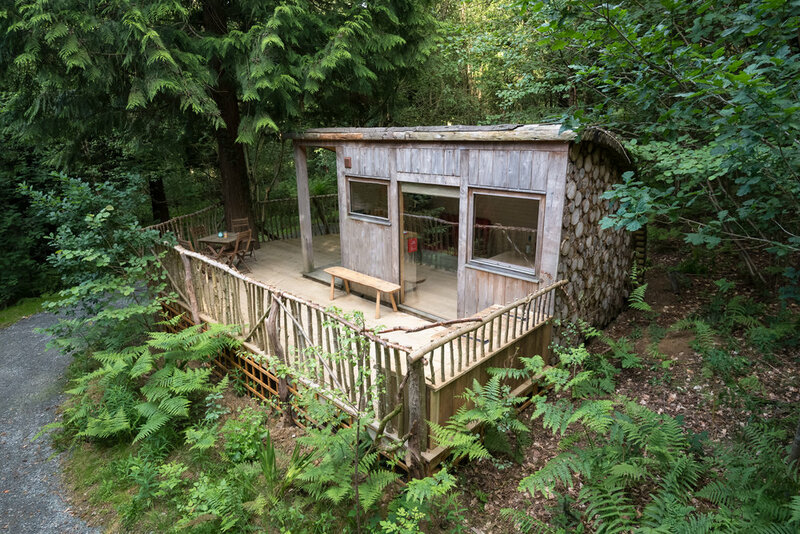 Get the ultimate glamping experience in a solid hand built all weather modulog pod or cabin. 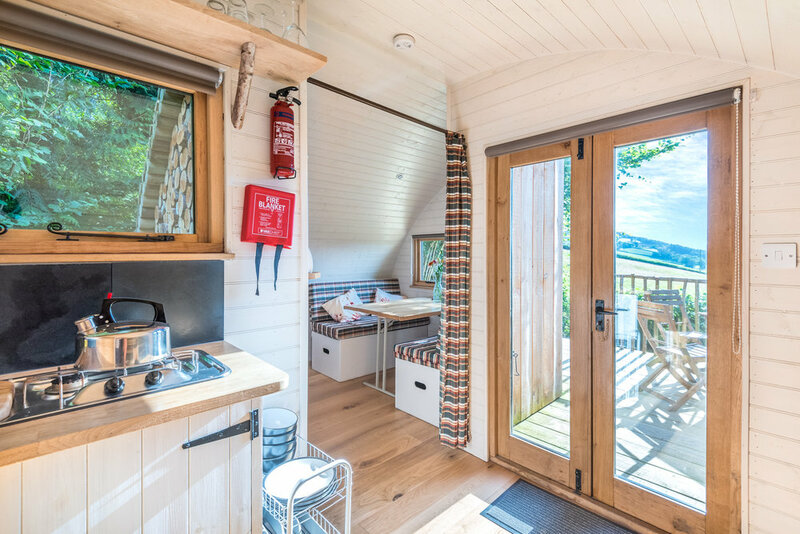 These designs are perfect for a unique glamping experience and with shower pods and amenity blocks available you can have modulog off grid pods anywhere on your site. This pod design has a lounge/kitchen area which turn into a sleeping area at night. It also has a covered porch area and large glazed windows looking out to your best views. 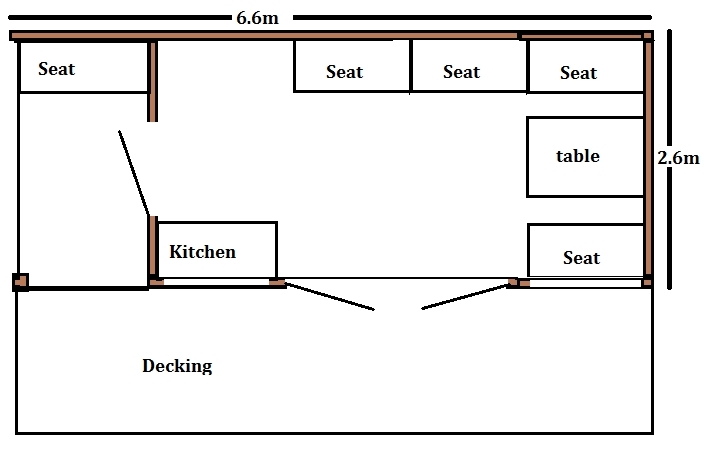 This design is slightly larger than the Bothi and also has a lounge/kitchen area which turn into a sleeping areas at night. This pod design has a lounge area and kitchen which turn into sleeping areas at night. It has a covered porch entrance on the front with glazed French doors on the back with a full height glazed windows. 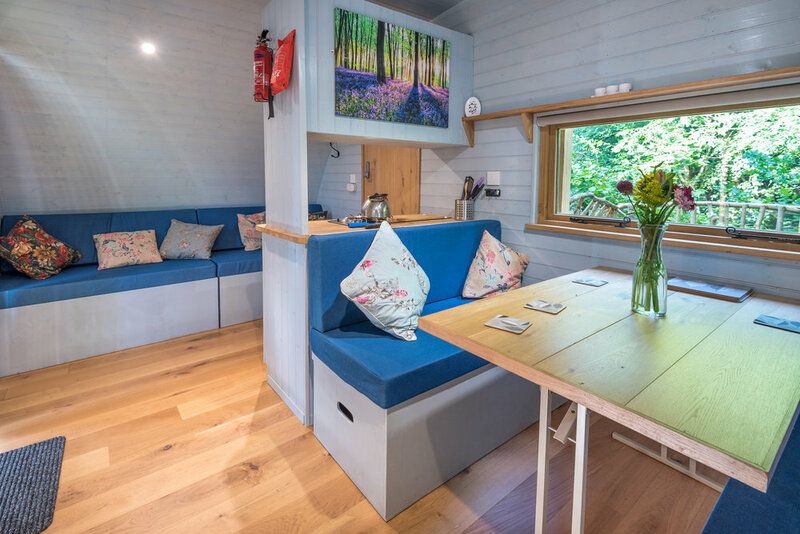 This pod has a lounge area and kitchen area which turn into sleeping areas at night. It has a covered porch area at the front and glazed French doors leading onto the rear with a double glazed oak window. 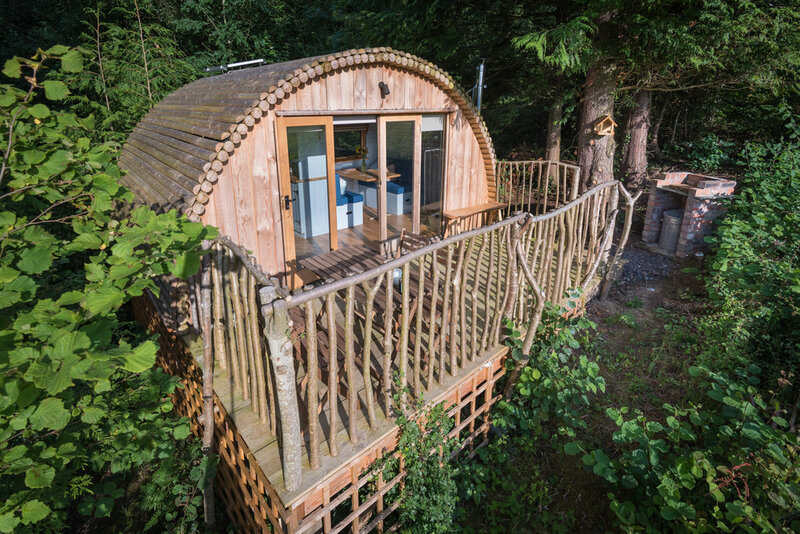 This pod design has the living/sleeping area looking out through oak glazed French doors. There is a kitchen area which also becomes a sleeping area at night. There is also room for a log stove or wall heater. There is a covered porch entrance with plenty of room hang coats and take off boots and wellies. 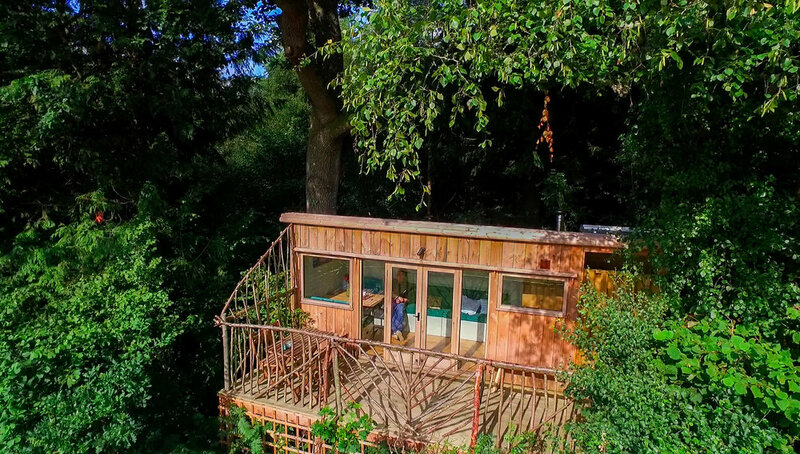 This pod has a large lounge/sleeping area with a kitchen just off the side. It has a covered porch entrance at the front and glazed French doors leading onto the rear with a double glazed oak windows. Check out our YouTube channel for videos of finished moduLogs.